Tyres in the UK are manufactured with a DOT stamp on the sidewall. 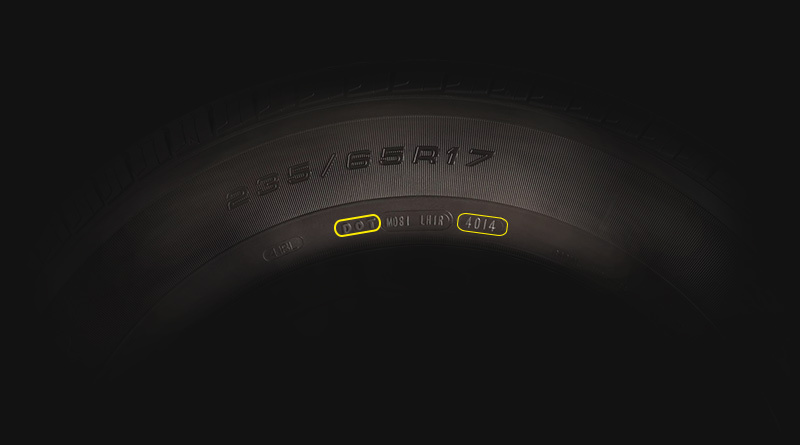 The DOT code holds the key information about where and when the tyre was manufactured. The last 4 numbers of the DOT code represent the week and year the tyre was made. It is important to know that any tyre with only 3 numbers in the last section was made before 2000. Tyres should be replaced after 6 years , regardless of how many miles they have done. After 10 years they are extremely hazardous. To help make sure that your tyres are safe enter the last 4 numbers of the DOT code below to get the exact age.